I love when violets first open up, their bright purple flowers dot the lawn and let me know it's spring. 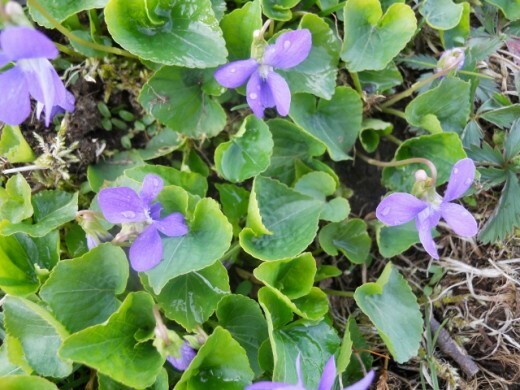 On closer look, violets come in many different varieties. 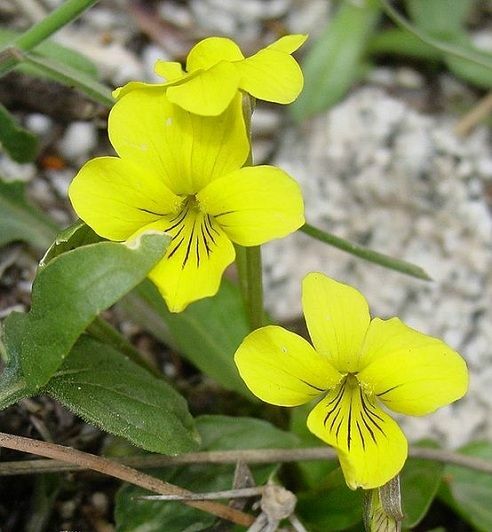 In fact, there are white violets and yellow violets. Get up close, they have a clean sweet smell, but not so sweet that the aroma is overpowering. Pick a little bouquet and bring the fragrance inside to enjoy. If you find a field of violets in the spring, you are lucky. They are a free edible. 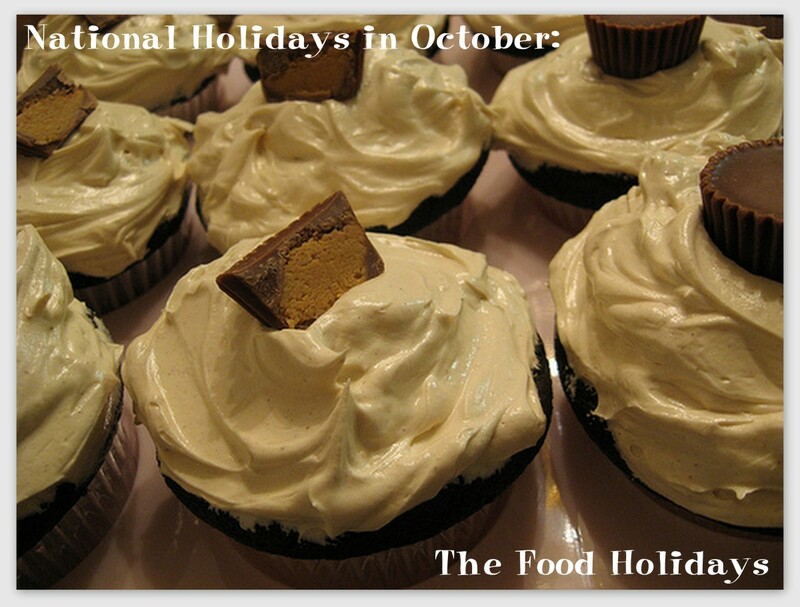 Include them in recipes or use them as decorations. 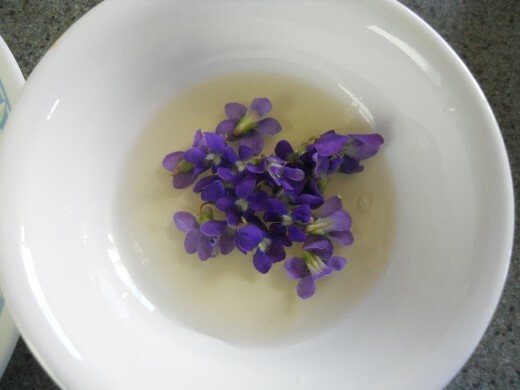 I attended a farm lunch a while back, where the violet petals were in a salad. They taste good and add beautiful color. Beautiful and fragrant and easy to grow - Easy to grow and spread each year. Plant some seeds and watch the beautiful violets spring up every spring. 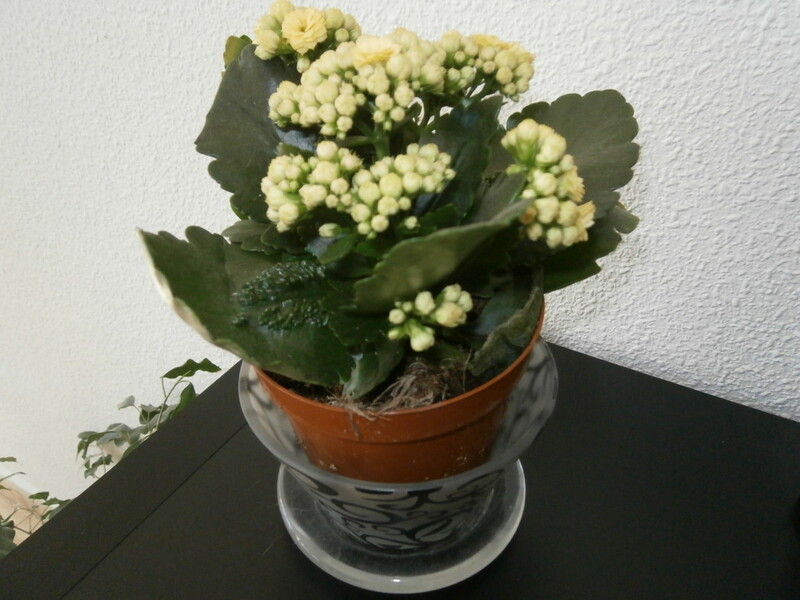 They are a low care plant and need little care once established. They will spread rapidly. Use them in salads to add color. Just remove the stems and wash gently. 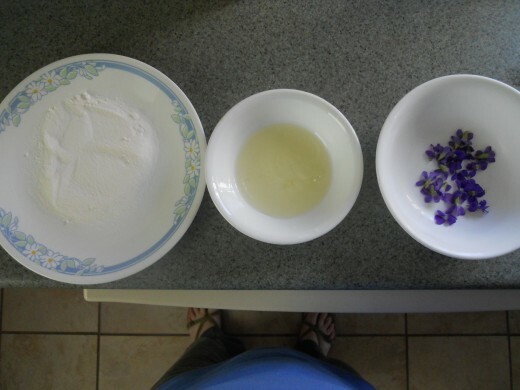 You can add the whole flower, or taken the petals one by one and add them. 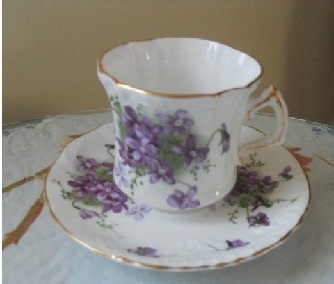 This cup is aptly named Victorian Violets. 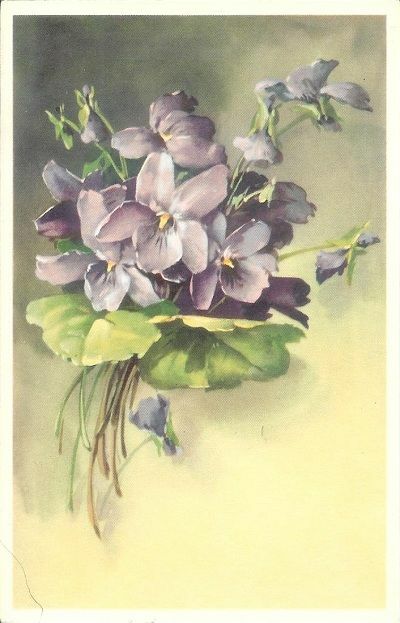 Here's a vintage postcard showing violets with the soft hues common on vintage postcards. This is an Alfred Mainzer postcard. Purple and white violets are edible. Yellow are not. Gather. Pull flowers off. Wash.
Toss into salads for color. 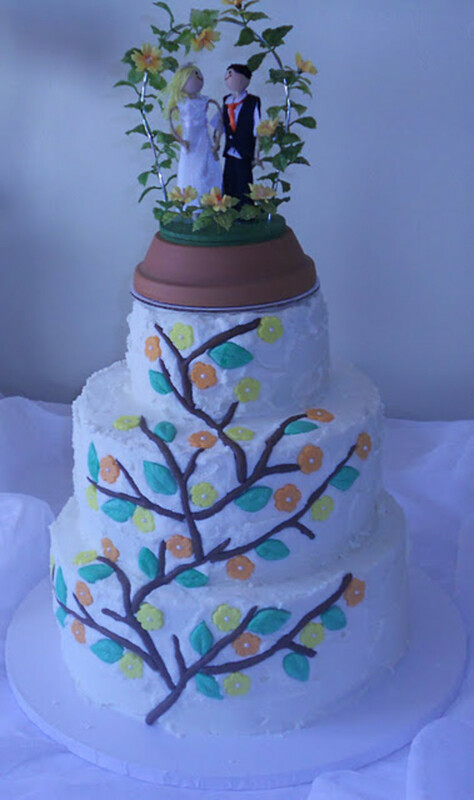 Press into icing to decorate cupcakes or cakes. Honesty, is the best policy. This was incredibly hard to do. All the recipes show these either before the sugar is applied or after they are done. What goes on in between is shown above. One is supposed to take a toothpick and open each petal up.I guess I wasn't meant to be a petal-picker. I lost patience with this early on. 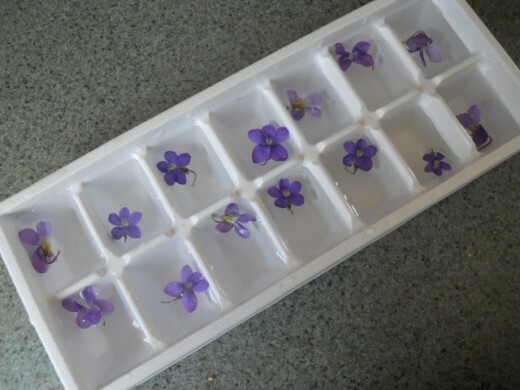 I just plopped the violets in an ice cube tray and filled it with water. 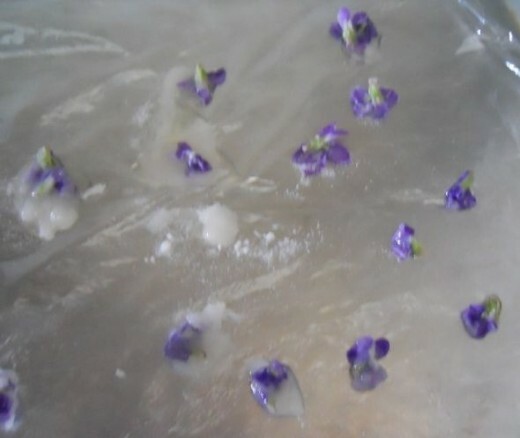 As soon as I put the ice cubes in liquid, and the ice cube start melting, the violets separate. Do find and follow instructions on the internet. Most suggest only filling the cubes halfway up with water. Freeze. Then fill the top half with more water and freeze again. 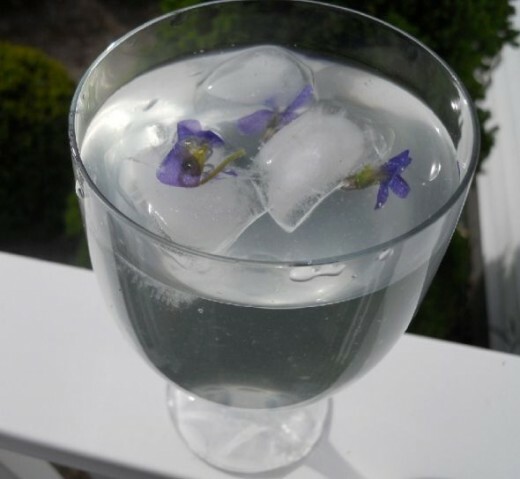 This puts the violets in the middle of the ice cube and they stay longer. Kocham fiolki, bardzo chcialabym uchwycic i zapach i cieszyc sie nim przez caly rok. Moze znasz sposob na to ? In Italy we haven't had a cold winter so far, even if very rainy.I know that some violets are growing just now, even if we are still in early February. I love springtime. 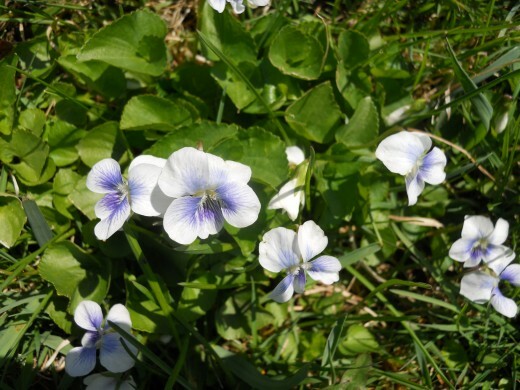 I used to have violets in the spring on our farm in Westminster, Maryland. As children we used to bring them in the house and make bouquets. Nice lens. I had no idea you could eat violets! I love the first signs of spring and purple flowers are my favorite. 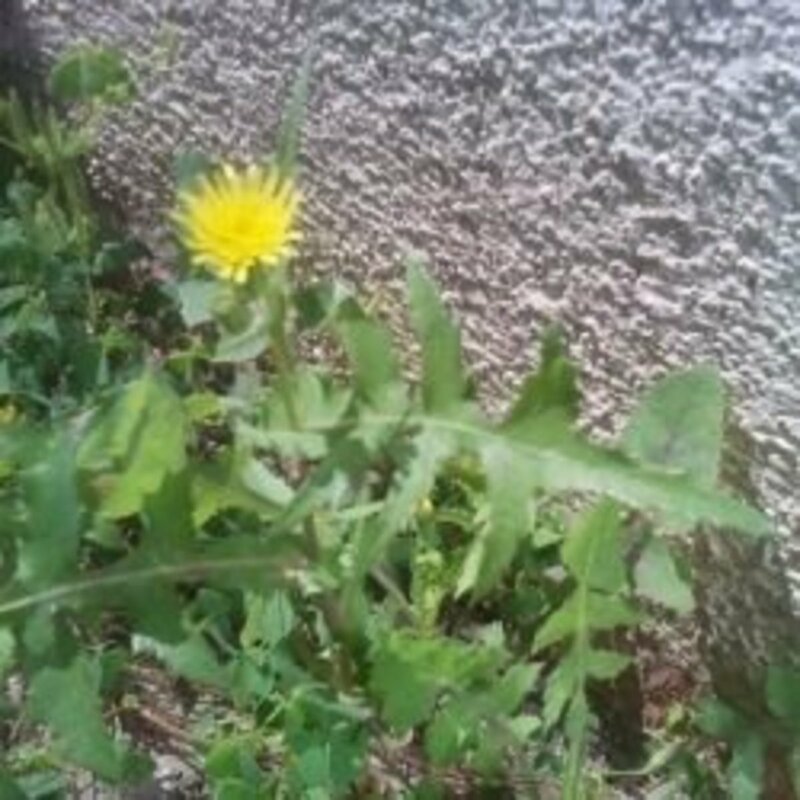 Makes walking my dog in the mornings quite a treat as the first flowers start popping up. Thanks for a great lens. Such a cheery and beautiful spring lens. I love violets, they are such a cheerful flower. Spring is my favorite season. It starts early here. Today I saw quite a few trees starting to blossom. Lovely to see violets, on a snowy day... can't wait for spring!